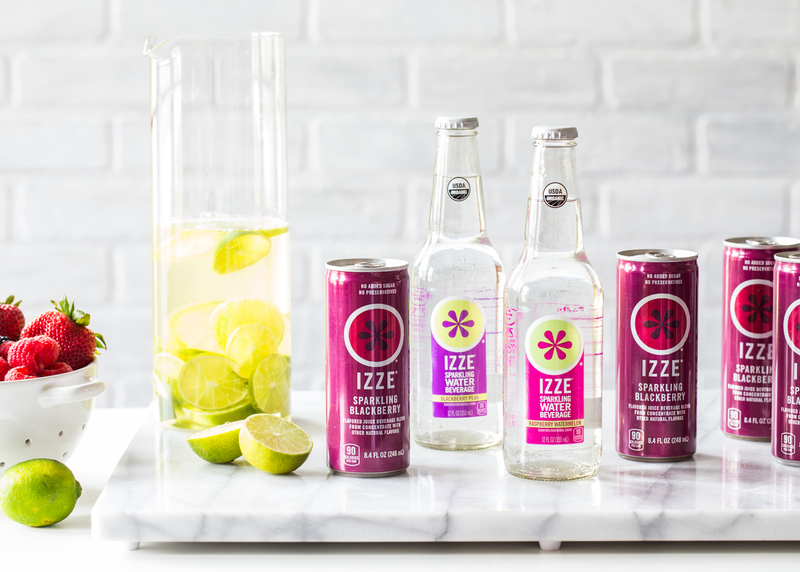 This post was sponsored by IZZE® through their partnership with POPSUGAR Select. 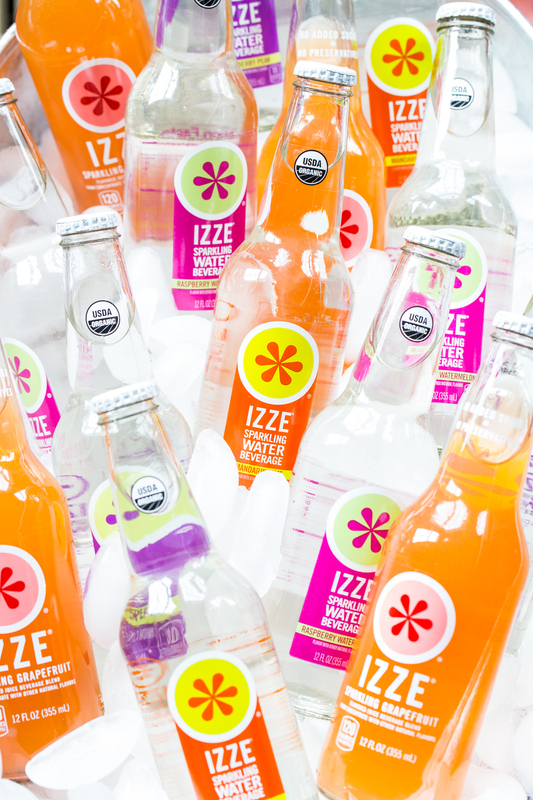 While I was compensated to write a post about IZZE®, all opinions are my own. Words cannot describe just how ready for summer I am. The sunshine, long days, and relaxed schedule will be embraced with open arms. I just can’t wait! In the meantime, we are savoring any bit of warmth that we are given and every weekend is becoming a test run for summer. Our patio project is complete which means we can move our parties and BBQs outside! We have a few friends that we love to get together with on a regular basis to celebrate Friendsday Night. We have been taking turns rotating through each other’s houses for our usual get togethers and this weekend it’s our turn to host. Let me tell you, I love a good party but when it comes to entertaining I am never one for over-the-top menu planning. 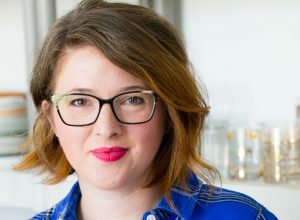 I want simple, delicious, and easy to prepare food and drinks (make ahead is preferred!) so that we can kick back and relax when our friends arrive. 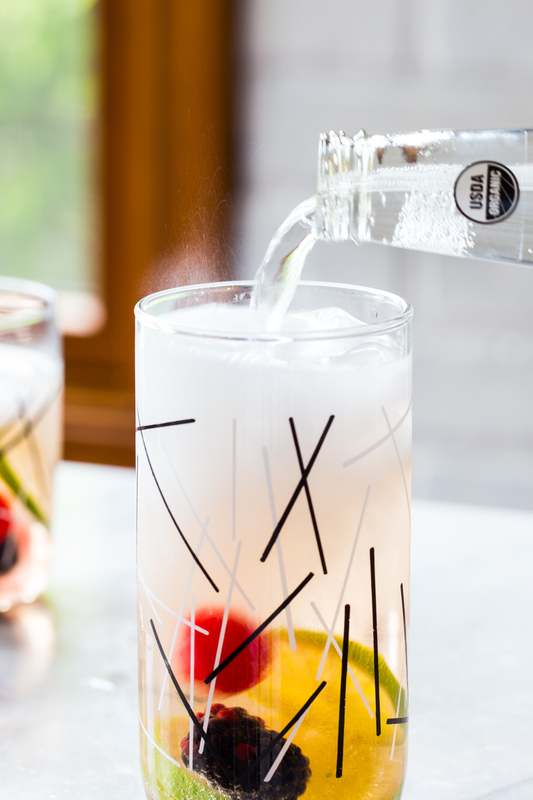 One of my favorite summer drinks for a crowd is sangria. 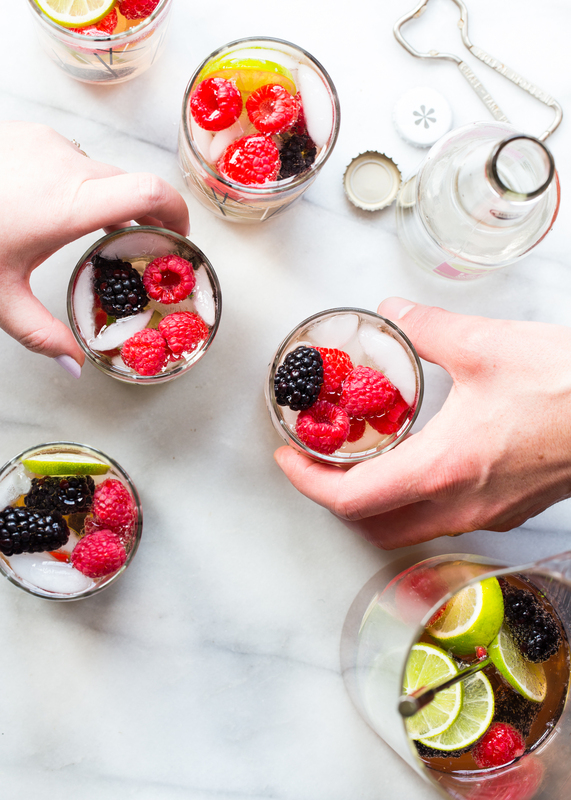 I have made a ton of different kinds of sangria over the years (like apple sangria for fall and ginger plum sangria for late summer), but I always like to add lots of fruit and a touch of something sparkly. 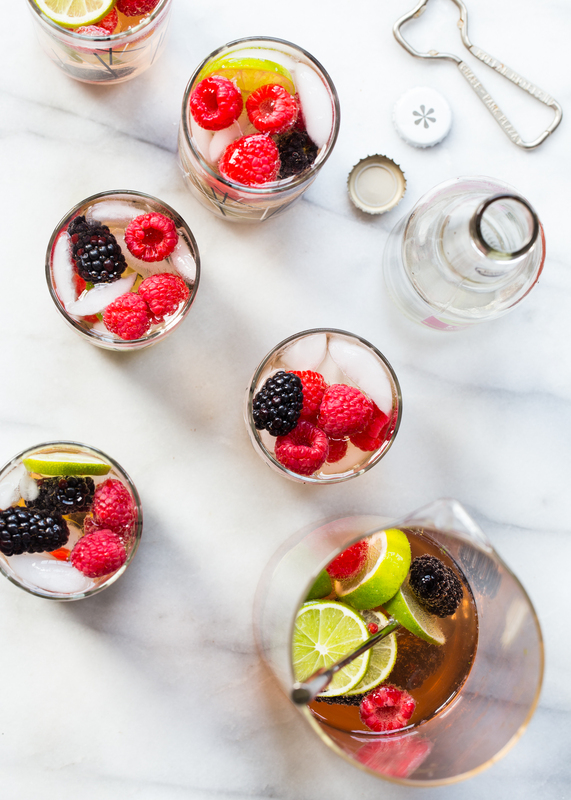 For this Sparkling Berry Sangria I started with a bottle of Moscato and added lots of limes, raspberries, and blackberries. 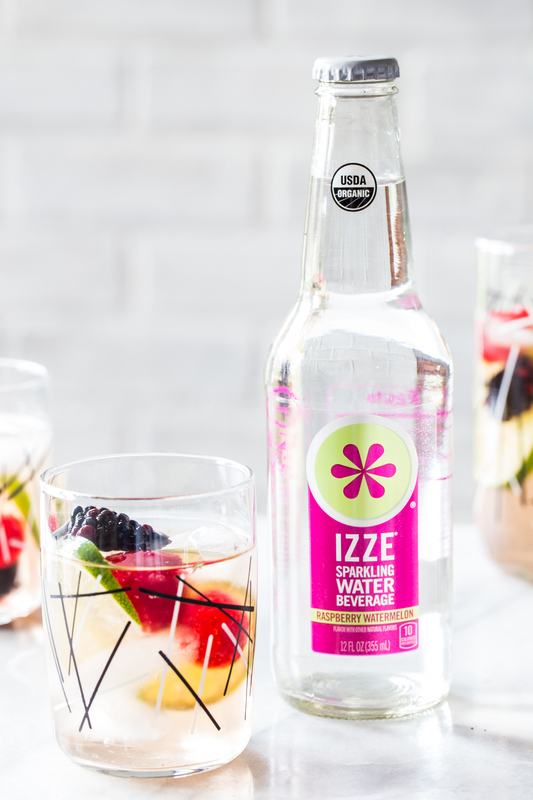 To give the sangria a lovely berry flavor and an effervescent sparkle I poured in one bottle of IZZE® Sparkling Water Beverage in Raspberry Watermelon and one can of the fruity IZZE® Sparkling Blackberry. 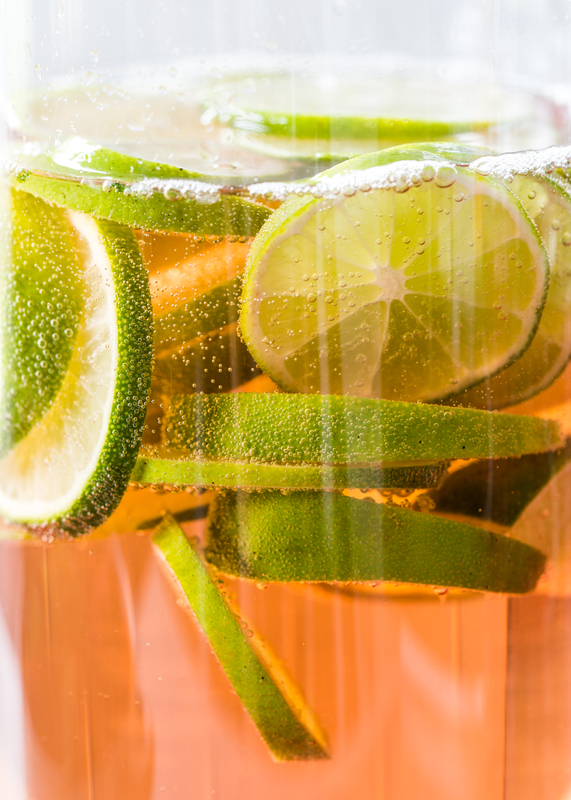 This entire pitcher of sangria can be made ahead of time and refrigerated to let the flavors mingle. 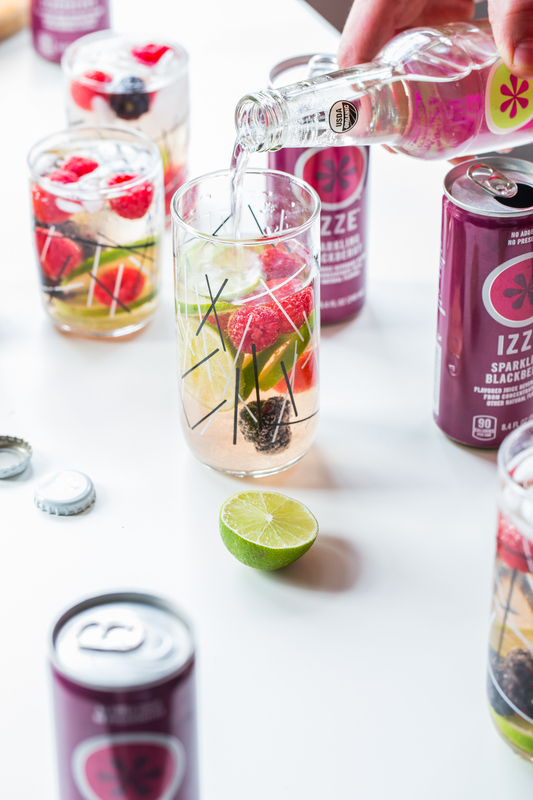 Some sangria recipes call for added sugar, but between the sweet wine, fruit, and lovely IZZE® flavors this Sparkling Berry Sangria is perfect just the way it is. 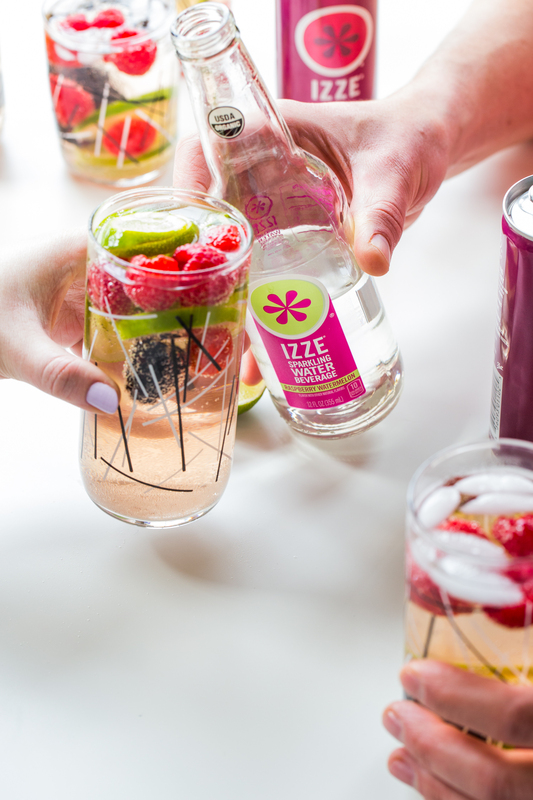 For serving the sangria, I like to have a big bucket of ice to fill glasses and extra bottles of IZZE® Sparkling Water to top off each glass for an extra dose of fizz. 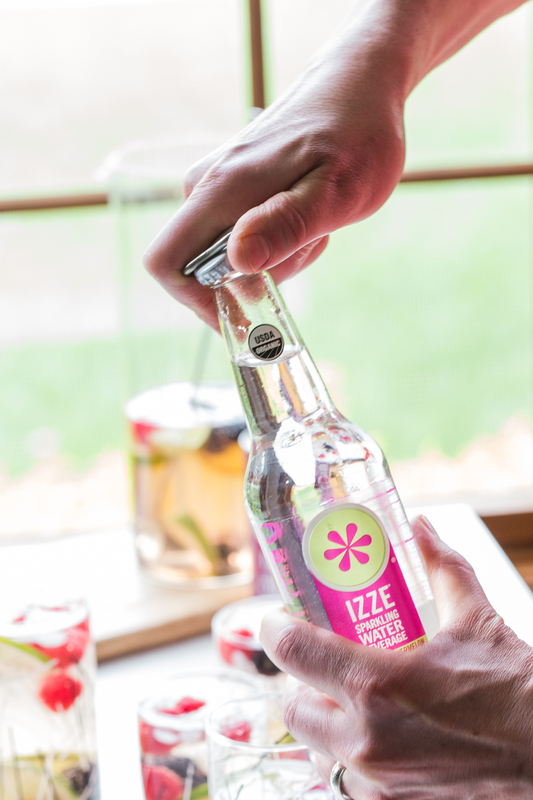 You guys, it’s like summer in a pitcher! I’m ecstatic that our next Friendsday Night party will include kicking back around our new fire pit with plenty of cold drinks and some marshmallows roasting over the fire (I’m thinking some roasted berry s’mores would go perfectly with this sangria!). I can’t wait! 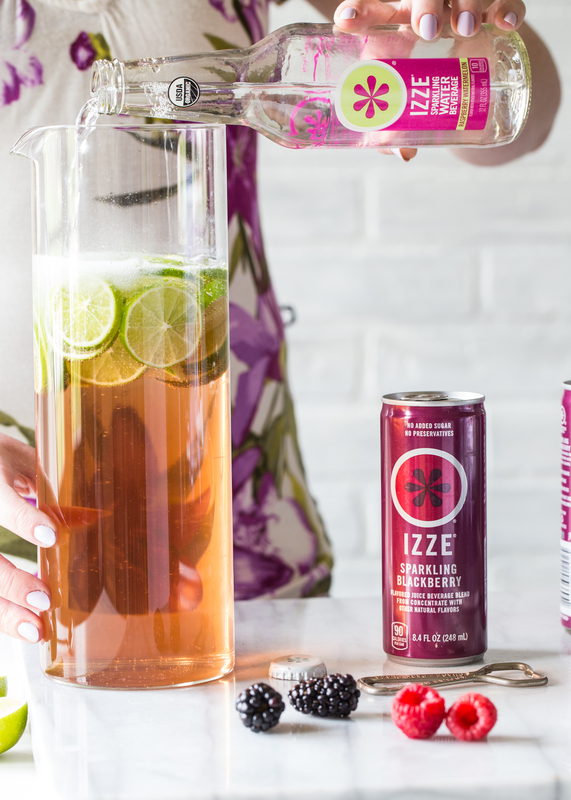 In a large pitcher, stir together wine, IZZE® Sparkling Blackberry, IZZE® Sparkling Water Beverage Raspberry Watermelon, and limes. Add berries and refrigerate for 2 hours before serving. 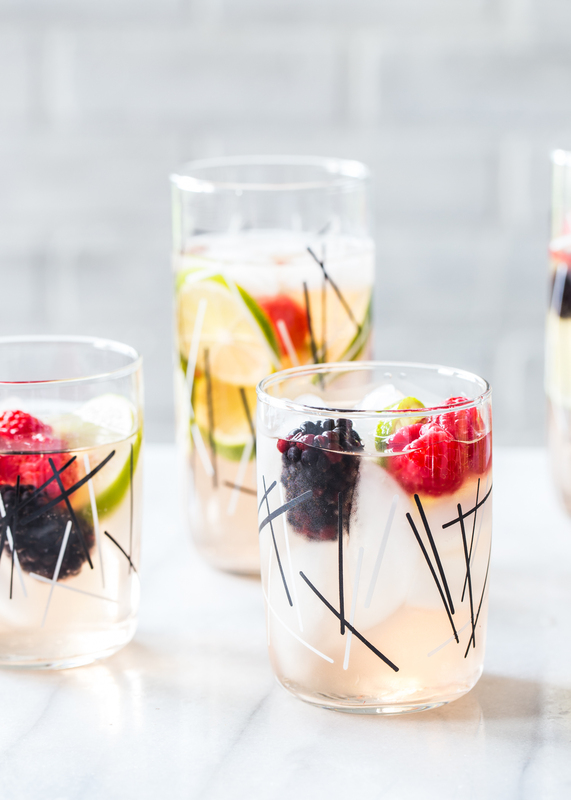 To Serve: Fill glasses with ice and top with sangria. Spoon fruit into glasses on top of ice and serve!